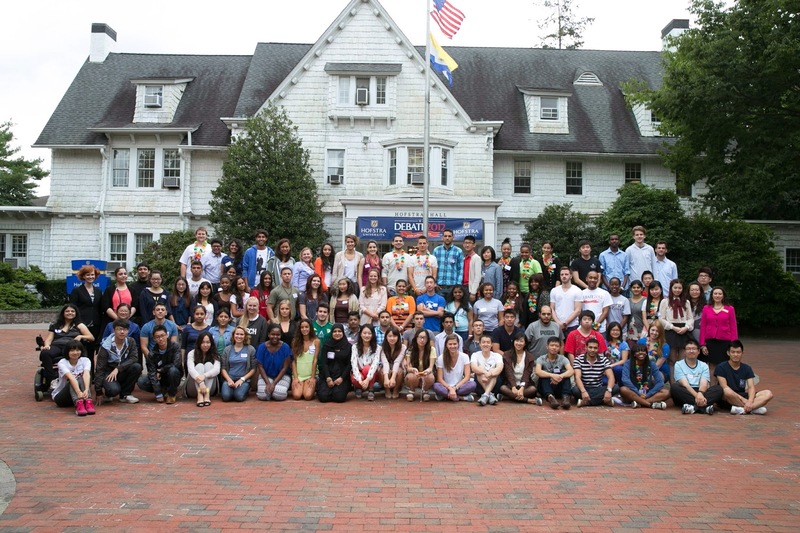 Xing Jiang and Jing Jiang, the twins from China Hangzhou - Qiandao Lake are our first international twins at Hofstra. Xing (星) and Jing (晶), the names their father gave them are from Twinkle Twinkle (晶) Little Star (星). Apple and Berry are their English names. Different from many other identical twins growing up, Xing and Jing are still dressing the same and using the same products. They are both majoring in Human Resources Management. From the outside looking in, everything about them is the same. However, just because they dress the same and use the same things does not mean they are the same. They still have different personalities and think differently. Even though they study the same major, they find their opinions on the topic are different. Before pursuing their Master’s degree, Xing studied accounting for her bachelor’s degree and Jing studied Korean and Japanese languages. They said because of their previous majors, when they talk about a classroom topic they always perceive it differently. Xing has more logical thinking. They both agree Xing, the older sister, is the leader most of the time. Coming to America, Jing followed Xing. Jing originally planned to go to Japan to study, but Xing does not speak Japanese. They did not want to separate from each other. They chose to come to America since they both speak English. However, in daily life Jing is the one choose clothes and other items to buy. Who decides what to wear on daily basis? That depends on who gets up earlier! What if they have different opinions? Do they argue with each other? Yes, they do! They told me that they always argue about small things for hours and nobody understands why. During our conversation, you could tell that these two sisters love and trust each other. They told me that if you see them on campus, please say “Hi” and introduce yourself. What a week the Office of Off-Campus Living and Commuting Student Services had! From student/community inclusion, to Cuban cuisine, to the commuting student hour in the game room; the commuting and off-campus students were sure involved on campus this week! 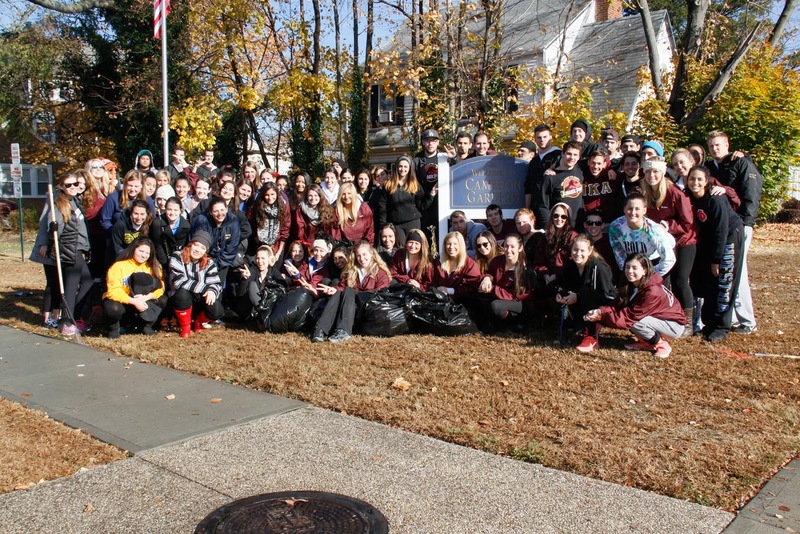 This past Saturday, over 180 students got together to volunteer for our annual Shake a Rake program. 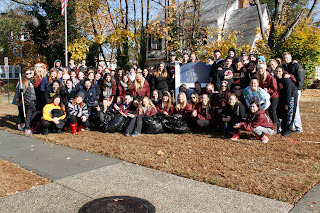 The students were ready and roaring at 9 a.m. to make a difference in a senior community member’s day. The students enjoyed a breakfast together, and then dispersed in groups with rakes in hand to go rake the yards of community members in need. The students raked the leaves in the yards of 19 homes in the Hofstra vicinity, and helped beautify two community parks. The community members were extremely grateful to have this experience with the students, many of them home bound due to health issues. The students’ visits to the homes lifted the community members’ spirits and made them feel like students really do care for them and the community. Many of the citizens chatted with the volunteers and expressed their deep gratitude for the student's actions. The students also felt very grateful for the experience. They knew that what they were doing was so much more than raking leaves, rather, lending a hand to people who could really use the help and interaction. 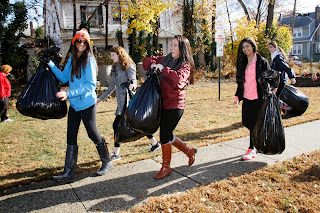 A sincere thanks to the students who volunteered their time and effort on that beautiful Saturday morning! On Thursday, November 14th, our office combined programming efforts with the Office of Multicultural and International Student Programs to take Commuting students and international students on a Latin food-venture! 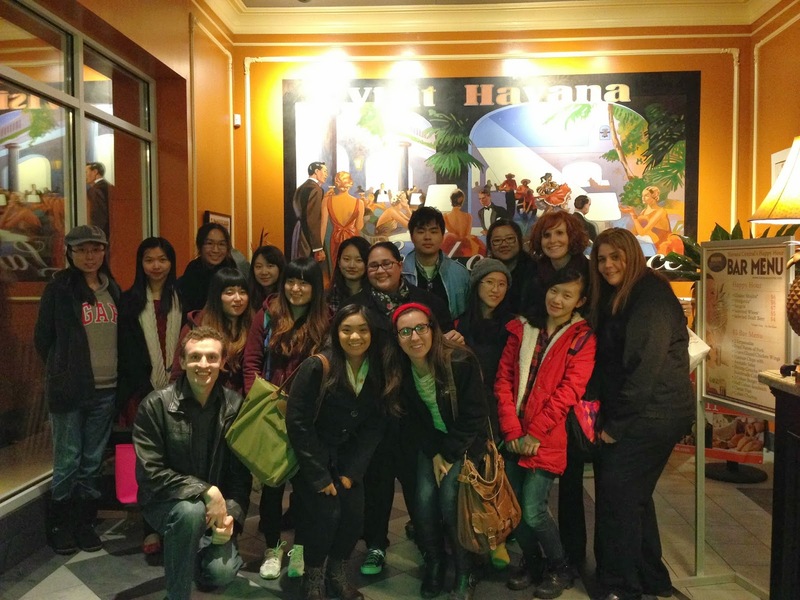 Students enjoyed a sweet and savory Cuban meal at Havana Central in Garden City and immersed themselves in the Cuban culture while eating gastronomic staples such as empanadas and tamales all while enjoying the traditional Latin music and ambiance. 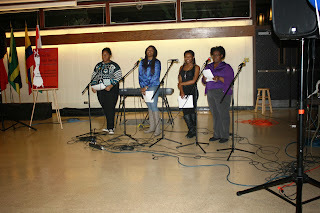 The commuting student hour in the game room was great fun, hosted with the Office of Student Leadership and Activities! Commuting students had the opportunity to play games, have snacks, and get to know each other during common hour on Wednesday, November 13th. The students enjoyed playing Foosball and video games, creating bonds with one another and further establishing themselves on campus. 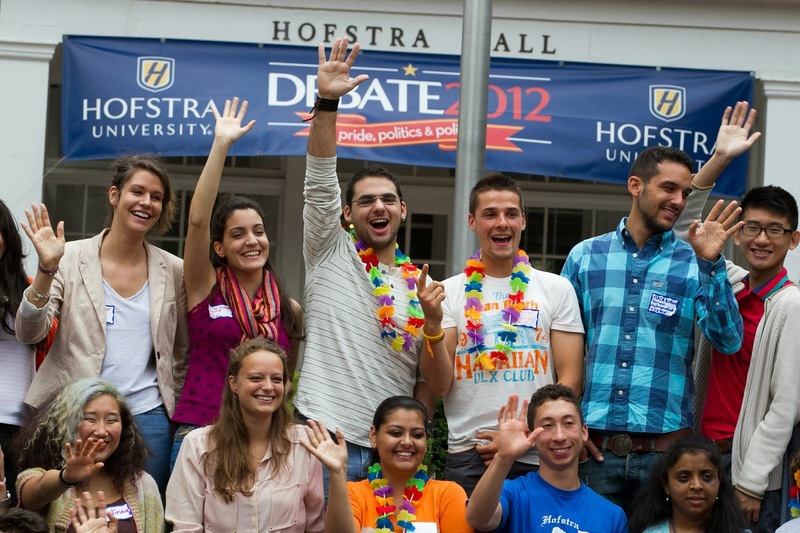 If you are a commuting or off-campus student, be sure to check your Hofstra pride email for our regularly sent newsletter to get the latest scoop on any events we are hosting to get involved! Interested in Prezi? Did you know that Calkins has a 3D printer? Want to find out about Linux? 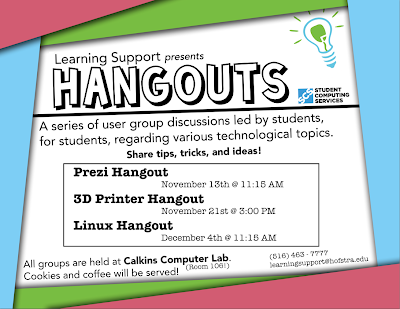 Join us for a Hangout in Calkins Computer Lab (room 106). Hangouts are user group discussions led by students, for students, regarding various technological topics. Share tips, tricks, and ideas and have some cookies! 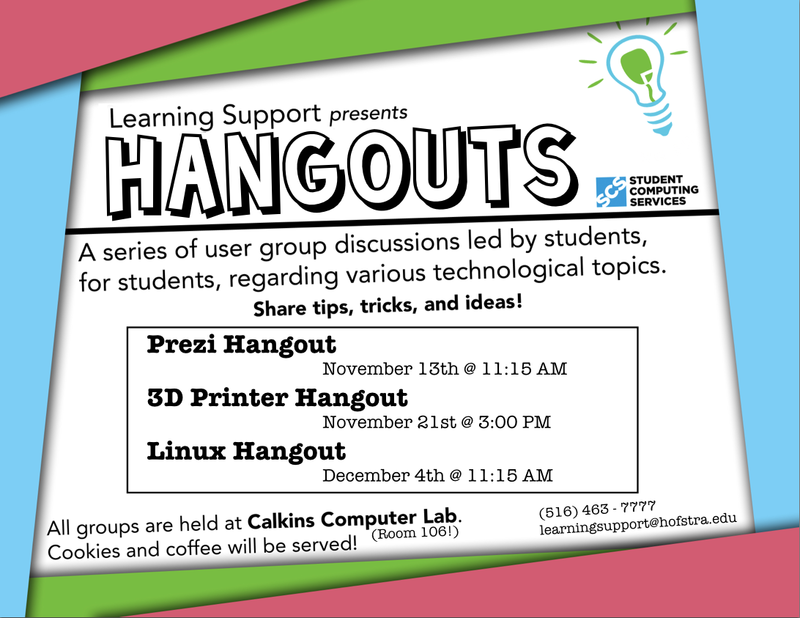 Our Prezi Hangout will be Wednesday, November 13th during Common Hour, our 3D Printer Hangout will be Thursday, November 21st at 3pm, and our Linux Hangout will be Wednesday, December 4th during Common Hour. If you can’t make it but have questions, please stop by Learning Support in Calkins 106! What are you doing this weekend? You may plan on spending all day in the library, but wouldn’t you rather be sipping a pumpkin spiced latte in Bryant Park? All too often, we forget just how many great things there are to do both on and around campus and in the city. So when you’re making plans this week, try something new! 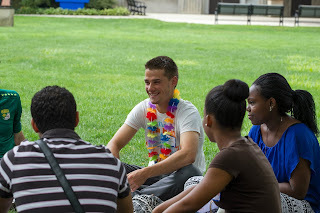 Make sure to take advantage of your time here at Hofstra and get creative this weekend! So check it out and let us know in the comments if there is anything you would like to see on it in the future! 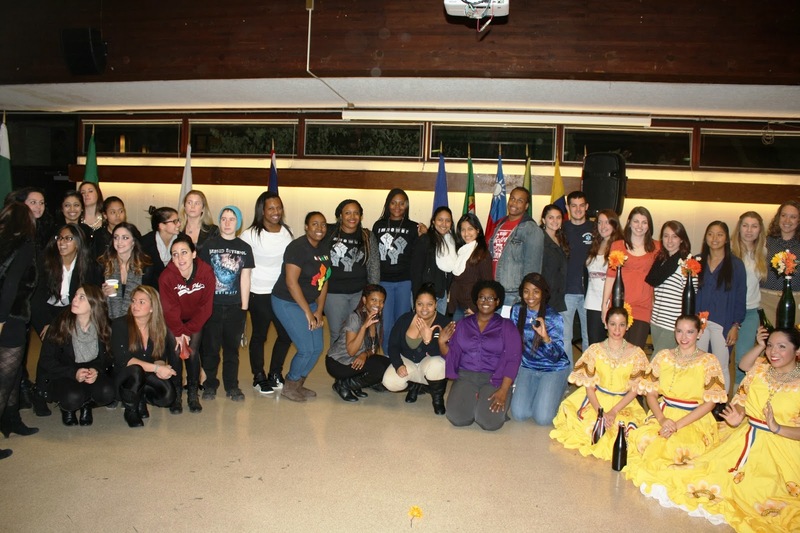 November is Diversity Awareness Month at Hofstra; diversity refers to the unique combination of identities that make up who we are in relation to others. It relates to the culture to which a person belongs; culture is a “set of values, beliefs, expectations, worldviews, symbols, and appropriate behaviors of a group that provide its members with norms, plans, and rules for social living.” Learning about a person’s culture means you are learning about something that is important to who they are. It should be clear that people regard their values, beliefs, and worldview as important. 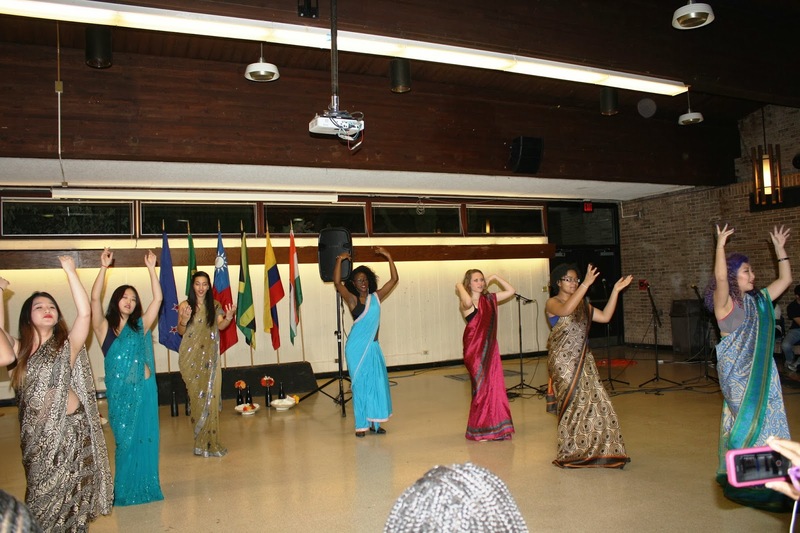 Diversity Awareness Month provides various opportunities for Hofstra students to take a genuine interest in the diverse experience of others. Throughout the month, keep a lookout for events and programs that will illuminate the diversity of racial, ethnic, sexual, gender, religious, and other identities that are important to you and important to those around you. At Hofstra, if your academic major is physics, you may think that knowing and mastering physics will mean success for you. I’m writing to tell you that while that is very important, it is only half the picture. Whatever your academic major: math, businesses, journalism, etc., do not forget that we live in a world inhabited by people, not subjects. Each person you meet could be in some way responsible for whether or not you are successful in your career, and they will have a unique set of identities that make them who they are. Many of the blog posts you’ll read by our very own Career Center will talk about this nebulous concept of “networking”, which is espoused as one of the most important ways of securing a career. Networking is often boiled down to “who you know, not what you know” being the most important factor in a career search. However, merely knowing another individual will not make them want to give you a job or even like you. Showing a genuine interest and respect for what they view as important, their cultural identity, and viewing it as equally important to your own is the key to making a lasting impression and possibly an enduring connection. Here at the Multicultural and International Student Office as a part of Diversity Awareness Month we will be celebrating International Education Week. The week will begin with the Multicultural Mixer in which multiple organizations and our office are collaborating to celebrate our campus' diversity. The event will take place on Monday, November 11, from 6pm to 9pm. On Tuesday, November 12 2013 the Next Stop: Africa. 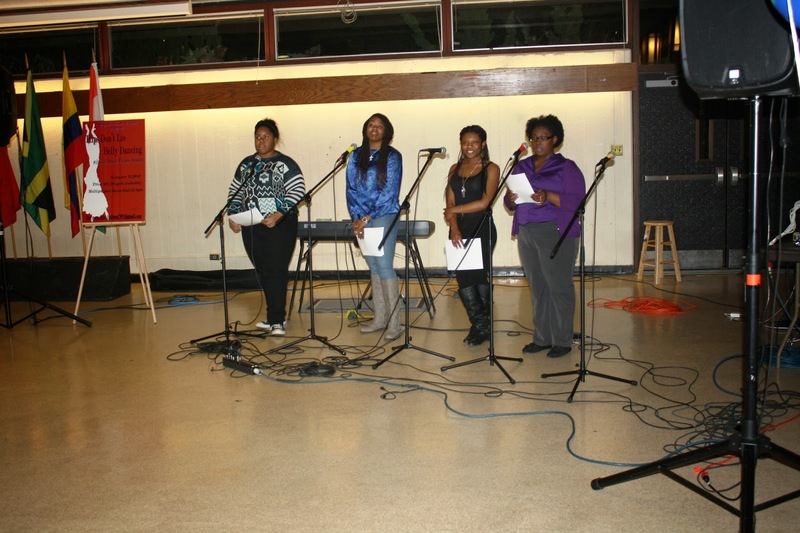 An event in which will educate students about the continent that is Africa and the different countries. Wednesday, November 13 our Diversity Awareness Month Reception int eh Plaza Rooms, from 11:15 to 12:30pm with keynote speaker Lisa Young, a Hofstra alum. Our trip to Havana Central on Thursday, November 14th and closing with H*INT (Hofstra International) Cultural Festival on Friday in the Main Dining Room on Friday November 15th. 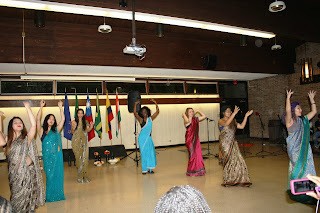 Make sure you check out all of our events during International Education Week! If you're interested in our events for Diversity Awareness month, CLICK HERE and check out all of our wonderful events! Take the train – Although, for many of you living across state lines the first thing that comes to mind is booking your airline ticket, some travelers find they can save more than half on their travel spending by taking the train this holiday season. Also, if you book on Amtrak early (like, now) you can save up to 25% on your November/December tickets. Get on the bus – Taking the bus home is another great option and although it might be a little more crowded (which transportation isn’t during the holidays?) it can save you hundreds of dollars. Greyhound Bus offers great deals during the holidays and has two (2) convenient terminals in NYC – one at Penn Station (34th Street) and another at the Port Authority (42nd Street). Book your flight early & save– Taking a flight home might be the easiest option for many of you. So, if this is your only option because of your city location or the time it takes to get home, be sure to book your ticket early. Usually booking your ticket 20 – 30 days in advance can help you beat the last minute hikes in prices. Also, be sure to check out discount sites such as Kayak, Expedia, Orbitz, or TravelZoo for more savings. 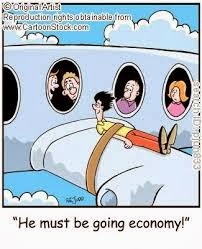 If you’d like more tips on how to save on your airline tickets check out this article here. Zip home in your Zipcar – If you’re within driving distance you might consider booking a Zipcar for the holidays. Zipcar has partnered with Hofstra and for only $25 students can join. Plus, students only have to be 18 and older to reserve a car. The other bonus is if you need a car last minute you can access cars 24/7 right here on campus! To learn more check out: zipcar.com/hofstra. Don’t forget the Blue Beetle – Yes, the Hofstra shuttle (a.k.a. Blue Beetle) will be at your service for transportation to the Hempstead and Mineola bus and train terminals for local and city travel. Plus, Hofstra has just announced that there will be shuttles to JFK airport starting on November 27th. You can view the current and holiday shuttle schedule here. Please keep in mind with all of these travel methods it’s important that you travel safely. If possible plan to travel during the daylight hours and be sure to notify your family/friends of your mode of transportation. When speaking with your family/friends include your travel details (e.g. arrival/departure times; flight/bus number; carrier; etc. ).